TUITION: $395 per student. A $75 non-refundable registration fee applied towards tuition is required. Tuition must be paid by the first session. There is a $30 late fee for registration received after the registration deadline. All new applicants must complete an interview with the program director prior to acceptance. No experience is necessary. To schedule an interview please contact the Centenary Stage Company box office at (908) 979 – 0900. Centenary Stage Company’s critically acclaimed Young Performers Workshop is now seeking new and returning applicants for the 2019 Spring Session. The 15-week session culminates with the annual Spring Festival of Shows. Hailed as “a state treasure” the Centenary Stage Company Young Performers Workshop (YPW) is a musical theatre training program for children 8 – 18 years old and operates under the auspices of the Centenary Stage Company, a not-for-profit Equity Theatre Company in residence at Centenary University. 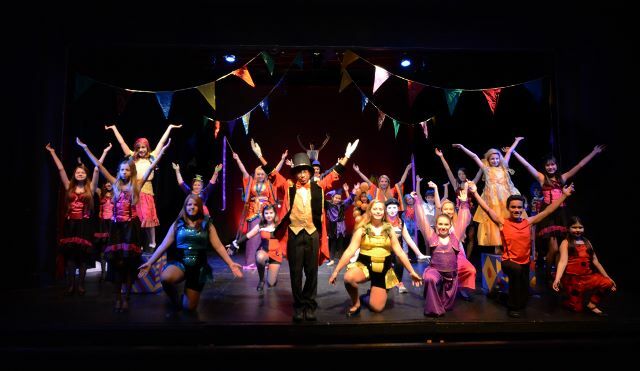 Dedicated to the enrichment of young lives through the use of theatre arts, the Young Performers Workshop is one of a few youth theatre programs to offer both formal training along - side practically production experience. Career-minded students can prepare for the rigors of a professional career, yet students not aiming for a professional career benefit from the program with its emphasis on discipline, self-worth and development of communication skills. Under the direction of Broadway, film and television veteran, Michael Blevins, the 15-week spring session has been designed to meet the needs of beginning, intermediate and advanced performers. The program includes the full production of at least two major American musicals. Once registered, students are guaranteed a part in the production. The spring session will begin Saturday, February 16 with performances scheduled for May 24 – June 2. Although no experience is necessary to participate, all new applicants must complete an interview process with program director, Michael Blevins, prior to acceptance.